The United Mission to Nepal (UMN), an ecumenical ministry, has a vision of a "fullness of life for all in a transformed Nepali society." United Methodists have been involved with UMN since it was was founded in 1954. More information on its work is available on the UMN website. Katherine's work in Nepal is focused in three areas: 1) Adolescent sexual reproductive health and rights and menstrual hygiene; 2) Maternal and child health; and 3) Water, sanitation, and hygiene (WASH). The United Mission works in five areas: education, health, hospitals, peacebuilding, and sustainable livelihoods. Native to California, Katherine comes from a family with deep roots in United Methodism on the West Coast of the United States. Two grandfathers, a great-grandfather, an aunt, and several cousins have served as United Methodist clergy. Active in the church since childhood, from a young age Katherine wanted to be involved in mission work. In August 2000, after completing college, Katherine began service as a mission intern with Global Ministries' young adult program. Her overseas assignment as part of that program was with the Asian Rural Institute in Nishinasuno, Japan. After 16 months, Katherine returned to the United States to work with the Practical Farmers of Iowa in Ames. She completed her mission intern service in May 2003. Katherine's home church is Mt. Tamalpais United Methodist Church in Mill Valley, California. 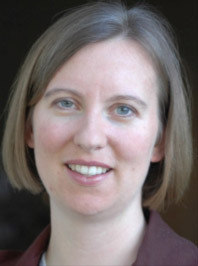 She has been involved in the life of the church in many capacities, including as a California-Nevada Annual Conference delegate to General Conference, service on the conference Board of Church and Society and the Golden Gate District Council on Ministries, and a local church organizer of volunteer mission trips.